Former Prime Minister David Cameron is following in the footsteps of Tony Blair and Gordon Brown by setting up a firm to handle his business activities, and cashing in on bookings to speak in public. 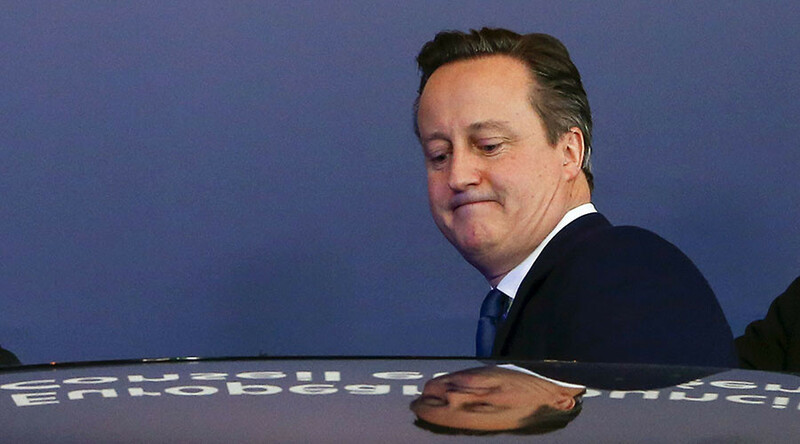 Staff of the former PM registered The Office of David Cameron Ltd in North Lincolnshire in October. As with The Office of Tony Blair – the trading name of Windrush Ventures No. 3 LP – it is expected Cameron will use the business structure to manage a lucrative speaking career. The business was registered by Cameron’s former political private secretary Laurence Mann, who is still working for him. Friends of Cameron told the Times that setting up a business was a normal step for former prime ministers. The former PM is currently on a speaking tour of the US, where he is due to make an appearance at Indiana’s DePauw University on Thursday to talk about the political upheavals of 2016 and ‘Where We Go From Here’. Since stepping down as MP for Witney in September, Cameron has signed a book deal with William Collins – an offshoot of the Rupert Murdoch-owned HarperCollins – for the publication of his memoirs in 2018. Cameron promises he will be “frank” in assessing his political career, which saw him lead the Conservative Party for 10 years and the country for six. Last week he was speaking at a conference in India, where he jokingly warned his audience never to play golf against US President Barack Obama, because he always won. He said he was forced to resign over Brexit because of a “populist upsurge,” but added that he was optimistic about President-elect Donald Trump. “As a free trade man, as a NATO man, I am concerned about some of the things Donald Trump has said. Modern leaders have to make the most of the circumstances. Let’s look for the positives,” the Times quoted Cameron as saying. Erstwhile New Labour leader Blair closed down his profit-making businesses in September, weeks before he announced his return to the domestic political scene in Britain. Tony Blair Associates’ annual financial statements show how Windrush Ventures, which advises governments across the world, had a £19.5 million (US$25.3 million) turnover in 2015. Profits that year were estimated at £3.5 million. Blair has been severely criticized for his political consultancy activities, particularly his relationship with the governments of Kazakhstan and Abu Dhabi, among others.